Budish’s research has spanned a wide variety of market design contexts, including the design of financial exchanges, markets for scheduling students to courses and workers to shifts, patent design and R&D incentives, internet auctions, school choice procedures, the market for event tickets, and cryptocurrencies. Budish’s research on high-frequency trading and the design of financial exchanges received the AQR Insight Award and the Leo Melamed Award, has been discussed in major policy addresses by the NY Attorney General and the SEC Chair, and has influenced exchange design proposals in the US and UK. Budish’s dissertation research concerned the matching problem of assigning students to schedules of courses, or workers to schedules of shifts. Budish’s proposed design, which applies price-theoretic competitive equilibrium ideas to a matching market, was successfully adopted for use in practice by the Wharton School in 2013, and is currently being used by several other universities and commercialized by a startup, Cognomos, of which Budish is on the board. Budish’s research on patent design and cancer R&D received the Kauffman/iHEA Award for Health Care Entrepreneurship and Innovation Research and the Arrow Award for the best paper in Health Economics. Budish’s most recent research concerns the economic limitations of bitcoin and the blockchain. 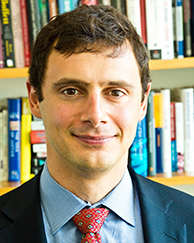 Budish received his PhD in Business Economics from Harvard University, his MPhil in Economics from Oxford (Nuffield College), and his BA in Economics and Philosophy from Amherst College. Prior to graduate school, Budish was an analyst at Goldman Sachs. Budish’s honors include the Marshall Scholarship, the Sloan Research Fellowship, and giving the 2017 AEA-AFA joint luncheon address. With Peter Cramton and John Shim, "The High-Frequency Trading Arms Race: Frequent Batch Auctions as a Market Design Response," Quarterly Journal of Economics Vol. 130(4), Nov 2015, pp 1547-1621. With Benjamin Roin and Heidi Williams, "Do Firms Underinvest in Long-Term Research? Evidence from Cancer Clinical Trials," American Economic Review Vol. 105(7), July 2015, pp 2044-2085. "The Combinatorial Assignment Problem: Approximate Competitive Equilibrium from Equal Incomes,” Journal of Political Economy Vol. 119(6), pp 1061-1103 (Dec 2011). With Estelle Cantillon, "The Multi-Unit Assignment Problem: Theory and Evidence from Course Allocation at Harvard," American Economic Review, Vol. 102(5), Aug 2012, pp. 2237-71. With Yeon-Koo Che, Fuhito Kojima, and Paul Milgrom, "Designing Random Allocation Mechanisms: Theory and Applications" American Economic Review, Vol. 103(2), April 2013, pp 585-623.